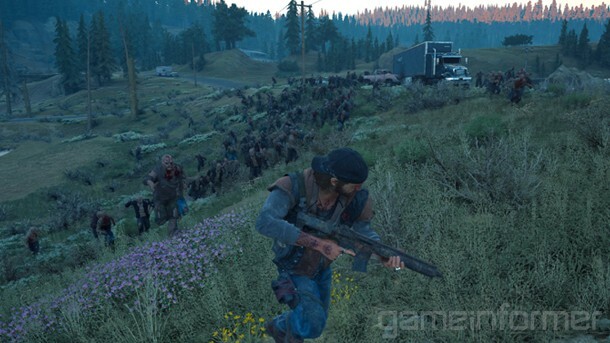 Since Days Gone's reveal at E3 2016, a huge point of discussion for the game has been "the horde." One of the most interesting aspects of the game from Sony Bend is the team's ability to have hundreds upon hundreds of freakers rush toward the player as a dynamic, dangerous biomass. Sony Bend is eager to show that the E3 2016 demo is real tech in the game, and there's no better way to do that than to have the horde brutally kill us over and over again. While visiting the studio for our cover story on Days Gone, we passed the PS4 controller between Jeff Cork, Jeff Marchiafava, and myself in an attempt to extinguish a 300-freaker strong horde.